Homepage - Corporate Plus Ltd. 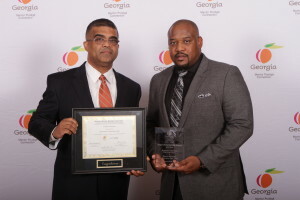 Established July 1, 1991 by its Principals, Walter G. McGlawn and Shawn F. Menefee independently owned and operated, Corporate Plus, Ltd. has grown to become a national leader in executive search solutions for state, local and federal government and private entities. Corporate Plus, being a performance-driven executive search firm, through the Southeast region and beyond, offers executive recruiting services in the financial, industrial professional, retail and consumer and technology service industries. Corporate Plus goes to great lengths to understand our client’s culture and type of professionals that will thrive within their organization. Corporate Plus offers extended replacement guarantee, depending on the type of service options selected by the client. Mission Statement: To provide each client with insurmountable staffing service that will be professional, remunerative, and of the highest quality in the industry. The firm is committed to a 100% satisfaction goal in the service delivery process as well as its operational objectives. Integrity is never compromised, without exception, with an astonishing commitment to employees and clients.